It was a beautiful sunny day here in Dieppe. Not a good day to take pictures with a tablet because you are shooting blind. So I have few photos to share today. It was a very good day for discovering Canadian Roots, however. We came to Dieppe thinking only about the disastrous battle of August 19, 1942. On that date, in one of the darkest hours of the Second World War, 4963 soldiers of the 2nd Canadian division,with air and naval support, set sail for Dieppe, Puys, and Pourville, and the waiting guns of the Nazi occupying forces. This was the first large scale Allied military operation that looked forward to the liberation of France. The battle was brief and bloody: 807 died,1946 were made prisoners of war and only 2210 soldiers returned. My uncle Tom was one those taken prisoner. He was a close friend of the family; my father served with him in the South Saskatchewan regiment,which fought on the beach at Pourville. Fortunately,my father was in the Dental Corps. Saved by the skin of his teeth! 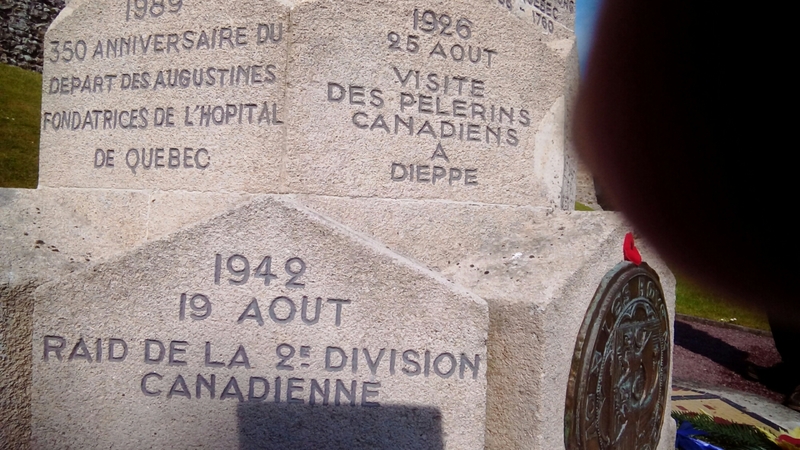 There is a stele in the “Square du Canada” inscribed with all the connections Dieppe has with Canada. 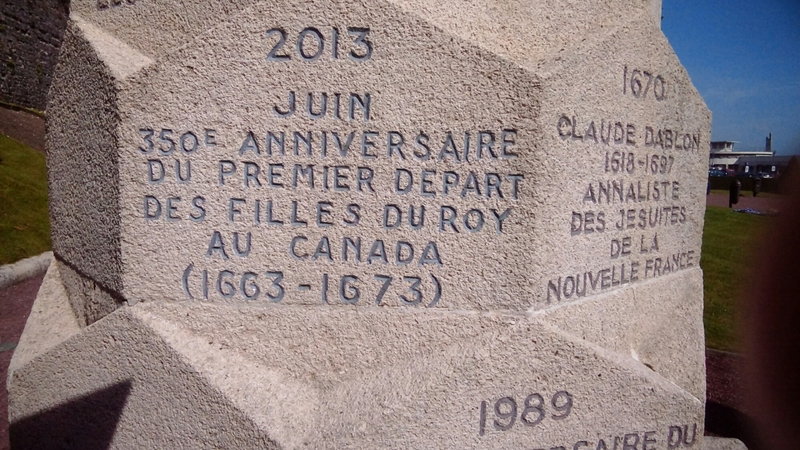 Here we learned that Dieppe was the port from which “the daughters of the king” came to Canada. Between 1663 and 1673, 770 young women left France for Quebec sent by Louis XIV to take husbands to people New France. There you are. Another bit of Canadian history with a happier ending.